Hundreds of individuals, landowner groups, First Nations, Metis groups and private companies are fighting to keep an overhead 500kV electricity transmission line from negatively impacting health, safety, agriculture, property values, rural viewscapes, disruption of livelihoods, and the environment (including wildlife). These and many other negative impacts of overhead power lines have been widely documented in the literature for decades. The 500-kilometre-long Fort McMurray West Line from Genesee to Fort McMurray was approved in 2009 by the then-Progressive Conservative government which legislated the building of 6 massive high voltage power line projects without any opportunities for the public to challenge the need for them. Although the vast majority of Albertans opposed these lines, the Alberta government ignored their concerns and rammed legislation through (Electric Statutes Amendment Act 2009) to get the contentious lines built. It is well-known that the long-term plans for these lines is to export electricity to the United States at Alberta consumers’ expense; Alberta transmission companies, the Alberta Utilities Commission (AUC) and the Alberta Electric System Operator (AESO) have repeatedly tried to deny this. ATCO and Quanta Services combined forces to establish Alberta PowerLine which was selected in 2013 (under questionable circumstances) by the AESO to design, construct, operate and manage the $1.4 billion Fort McMurray West Line. The consortium has proposed a western route and an eastern alternate route. The Edmonton Sun reports that a long list of concerned groups and individuals “have objected to some aspect of the route (ATCO’s preferred western route) in advance of AUC hearings that start Oct. 12.” One farmer, Kim Trithart, says, “I’m fighting for my life, I’m fighting for my kids…This is their future. Every time they look out from the living room window they’re going to see that power line.” Farmers and trappers are concerned their livelihoods will be negatively affected, energy companies are worried they won’t be able to work their leases, aboriginal hunters worry about negative impacts on deer and moose, homeowners are concerned about well-documented health impacts of overhead transmission line electromagnetic fields, aboriginal groups have argued that under the constitution they have not been properly consulted, landowners worry about decreased property values and homeowners do not want the ugly transmission towers and lines to ruin their rural viewscapes. Albertans have been asking for the last 10 years why high voltage transmission lines are not buried like all of our other utilities. Burying transmission lines eliminates or significantly decreases all of the documented negative impacts of overhead lines. Many other Albertans have been arguing for years that many, if not all, of the massive high voltage lines that the PC government legislated be built are not necessary. Alberta’s transmission industry and associated regulation and operation have long been considered to be archaic when compared with other jurisdictions. Innisfail senior, Bernice Stewart, a birding enthusiast and amateur wildlife photographer, has started a petition to save birds that will be killed by an overhead high voltage power line to be built by AltaLink. Stewart already has close to 400 signatures of individuals who agree with her that the overhead line should not be built at Cook Lake, just east of Innisfail (Innisfail Province 1, Innisfail Province 2, CBC News). Ms. Stewart regularly visits Cook Lake, a permanent lake about three-quarters of a kilometre long, and has recorded and photographed many species of waterfowl, other waterbirds, songbirds and even bald eagles and swans. The power line route which will cross Cook Lake has unfortunately already been approved by the Alberta Utilities Commission (AUC) which, along with electricity transmission companies in Alberta, refuse to seriously address the bird hazard problems that overhead high voltage power lines create. It is a well-known fact that overhead power lines kill birds. The U.S. Fish and Wildlife Service estimates that close to 175 million birds are killed annually in the U.S. alone, crashing into overhead power lines. A comprehensive 2013 study estimates that up to 229.5 million birds are killed every year in Canada by transmission lines built above ground. There are well-documented records of hundreds of birds killed through collision with overhead AltaLink high voltage lines in many locations in Alberta including Pincher Creek, Frank Lake and Big Lake, to name but a few. In one location alone near Pincher Creek, about 450 birds were killed crashing into a recently built overhead high voltage line built by AltaLink, even after the transmission company was warned by wildlife experts that the power line was being built in an area frequented by thousands of waterfowl and other birds. Eleven Trumpeter Swans were killed crashing into another recently built AltaLink overhead power line at Frank Lake, southeast of Calgary, and experts estimate 10 times as many were actually killed. AltaLink’s proposal to build the line at Frank Lake was approved by the AUC, even though the lake is an internationally-recognized Important Bird Area (IBA). AltaLink violates federal legislation that protects migratory birds by continuing to build massive high voltage power lines above ground that regularly kill migratory birds, including “At Risk” species such as Trumpeter Swans. AltaLink continues to suggest that bird deaths can be mitigated by bird diversion devices that have questionable success. Unfortunately, AltaLink, other electricity transmission companies in Alberta and the AUC would rather continue to build high voltage power lines above ground than bury them where they cannot kill birds. As well, there are many other advantages of burying high voltage lines associated with health, safety, property value, the environment, aesthetics, agriculture, tourism, weather, fires, aircraft, power outages, pipeline corrosion, reliability, maintenance costs and transmission loss costs. It’s not a matter of whether or not the AltaLink line to be built across Cook Lake will kill birds…rather, it’s a matter of how many birds will be killed annually. 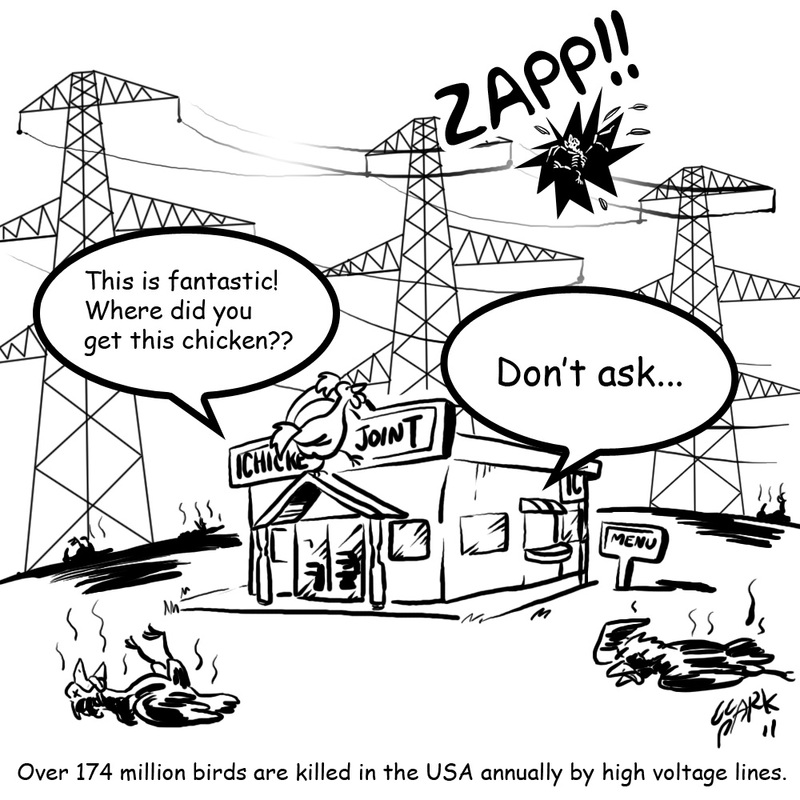 See this link and this link for more facts about above-ground transmission lines killing birds. Greg Wagner, a local wildlife biologist, has found 11 dead trumpeter swans and one dead snowy owl under an AltaLink high voltage line that was built two years ago in southern Alberta, and Wagner estimates that number could be up to 10 times higher because he’s only been in the area that’s accessible to the public (Postmedia). Trumpeter swans are currently listed as a species “At Risk” by the Alberta Government and were recently listed as a “Threatened” species, with only about 1,500 to 2,000 mature individuals estimated to occur in Alberta. Wagner expressed concerns in 2014 about AltaLink’s new overhead high voltage line that surrounds the western half of Frank Lake, an internationally-recognized Important Bird Area (IBA) managed by Ducks Unlimited. IBAs are recognized as being globally important habitat for the conservation of bird populations. Just a few of the more interesting bird species found at Frank Lake include: trumpeter swan, tundra swan, short-eared owl, eared grebe, black-crowned night heron, marbled godwit and black-necked stilt. In 2014, Wagner said Frank Lake is a major staging area for trumpeter swans, a “Threatened” species in Alberta (at that time), and having birds fly into the wires remains a concern. “We know that these lines can be very hard on large birds with heavy wing loadings like swans, cranes, and Canada geese. They don’t have much manoeuvrability.” He continued, “Within the MD of Foothills, you only have one internationally significant wetland for birds and this is it, so why do you even have one new transmission line coming in?” Wagner’s more recent discovery of nearly a dozen trumpeter swan carcasses right under AltaLink’s transmission line certainly validates his concerns expressed two years ago. It is a well-known fact that overhead high voltage power lines have major adverse effects on bird populations, including killing birds through collision with conductors, shield wires and towers. About 174 million birds are killed annually in the U.S. alone, crashing into overhead power lines. AltaLink has a history of being very cavalier about the impacts of their overhead transmission lines on the environment, including birds. Transmission companies in Alberta have not needed to conduct formal Environmental Impact Assessments (EIAs) of new high voltage power lines since 2008, when the Alberta Government exempted all high voltage lines from this requirement. Very limited environmental assessments are sometimes now conducted as part of transmission companies’ applications to the Alberta Utilities Commission (AUC), but these assessments do not meet the standards of EIAs. In 2014, Wagner also questioned some of AltaLink’s other environmental practices after he discovered AltaLink was not following normally-accepted construction practices to minimize environmental damage. He discovered heavy track vehicles tearing up the ground along the alignment of AltaLink’s recently constructed high voltage transmission line near Frank Lake. He said, “They’ve gone in during wet conditions and tore the ground up, which is bad environmental practice and should be done under frozen or dry conditions…I’m sorry, but it’s not acceptable to do that in wildlife habitat. You’ve got agricultural land and places all over you could do this and get away with it…It’s ugly; it’s got to be reclaimed.” Wagner said vegetation mats, designed to minimize damage to the ground, were not initially used during construction. Invasive plant species often establish themselves when the ground is rutted and tracked. The environmental damage was done when crews were anchoring new transmission towers. See this link (AltaLink’s Pincher Creek line) and this link (AltaLink’s Heartland line) for other recent examples of AltaLink’s and the AUC’s poor environmental track records. AltaLink’s recently constructed overhead Pincher Creek line has already killed hundreds of birds. More information on the environmental impacts of overhead high voltage transmission lines can be found at this link, this link and this link. Buried transmission lines do not kill birds and have many other advantages over above-ground lines. Premier Rachel Notley is blaming the former PC government for overbuilding Alberta’s electricity grid, resulting in Albertans paying (soon to be) the highest transmission rates in North America. The Premier is absolutely correct in pointing the finger at the PC government which, in 2009, passed the Electric Statutes Amendment Act (Bill 50) against the wishes of almost everyone in Alberta except the electricity transmission industry, operator and regulator. The Act ordered the building of huge 500kV high voltage transmission lines across the province, including the Heartland Transmission Project (AltaLink), Western Alberta Transmission Line (AltaLink), Eastern Alberta Transmission Line (ATCO), Fort McMurray West Transmission Project (ATCO), and several others. Under heavy lobbying by the transmission industry and the Alberta Electric System Operator (AESO), the PC government legislated the building of these lines by unilaterally labelling them as “critical infrastructure” that would be built without any opportunity for the public, business community, industry or municipalities to question the need for them. The Alberta NDP, Liberals and Wildrose fought strongly against Bill 50, as the province saw some of the largest public demonstrations ever in opposition to the building of these massive lines, but the PC government went ahead and rammed the legislation through the Legislative Assembly. There was no justifiable need, no fair competitive bidding, nor was there any accountability, for construction of the Bill 50 lines. It was well known and understood at that time that construction of these unnecessary lines would contribute to significant increases in transmission costs; unfortunately, that did not stop the legislation from being passed. It should be no surprise to anyone today, therefore, that Alberta transmission costs are going through the roof. Sheldon Fulton, energy consultant, wrote in a letter to current Energy Minister Marg McCuaig-Boyd, “Consumers that pay transmission costs have no say in where the transmission line is built, why it is built, how big it will be. The result is an over-built, underutilized transmission system. In some instances, double lines exist for projects that are no longer viable.” For example, the Heartland Transmission Project was supposed to provide coal-fired electricity for up to 13 oil sands upgrading facilities in the Industrial Heartland. Currently there is one upgrader under construction that has a questionable chance of success. The irony is, even if upgraders were built in the Industrial Heartland they were to co-generate their own electricity and would therefore not have required power from elsewhere. Furthermore, because coal-fired electricity generation will gradually be phased out in Alberta (as is the case in the rest of Canada), it is not known whether there will be any generation to actually feed the Heartland line. In other words, the Heartland transmission line will very likely become known as the line from nowhere to nowhere. 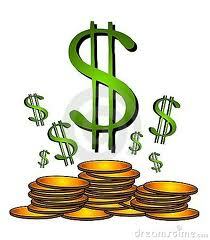 See this link for many additional RETA blogs on high electricity costs in Alberta. Today in the Edmonton Journal, Darcy Henton writes, “Transmission costs on Alberta power bills are climbing at unsustainable rates with increases that are unprecedented in North America, consumer groups warn.” The Alberta Consumers’ Coalition, the Direct Connect Consumers Association and the Industrial Power Consumers Association have warned in a paper submitted to the Alberta Utilities Commission (AUC) that “transmission rates have escalated to the point where they threaten to affect development of electrical generation and the energy market” in Alberta. RETA has pointed out for the past 7 years that the AESO, AUC and transmission industry in Alberta have worked in collusion to invent electricity demands that did not exist and to consequently build massively expensive transmission lines that were not needed. RETA, many other associations, businesses, industries, municipalities, and tens of thousands of Alberta homeowners have argued repeatedly at AUC hearings on the building of new transmission lines that most of these lines are unnecessary, or at minimum, are gross overbuilds. Well, the ratepayer experts have now confirmed, jointly, that Albertans will likely soon be paying the highest electricity transmission rates in North America. The chickens have finally come home to roost.